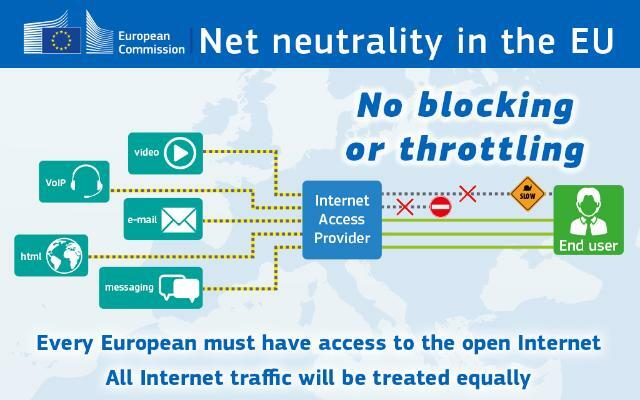 This module is an introduction to "Net Neutrality" which means that all data on the internet would be treated equally with no inflated fees for faster downloading and uploading to the internet, or for access to certain services. Net neutrality advocates the same model we use for public utilities, such as electricity or water. Speak Up! Contact the Canadian Radio-television and Telecommunications Commission (CRTC) - Opens in a new window to complain if you think your ISP is instituting speed bumps in your internet connection. Stay Informed! Follow news about policy changes or legislation that will allow ISPs control over internet speed and costs. Dr. Michael Geist’s website - Opens in a new window is a good resource.